Since the turn of the century, South American governments and regional organisations have adopted the world’s most open discourse on migration and citizenship. At a time when restrictive choices were becoming increasingly predominant around the world, South American policymakers presented their discourse as being both an innovative and exceptional ‘new paradigm’ and part of a morally superior, avant-garde path in policymaking. This book provides a critical examination of the South American legal framework through a historical and comparative analysis. Diego Acosta uses this analysis to assess whether the laws are truly innovative and exceptional, as well as evaluating their feasibility, strengths and weaknesses. 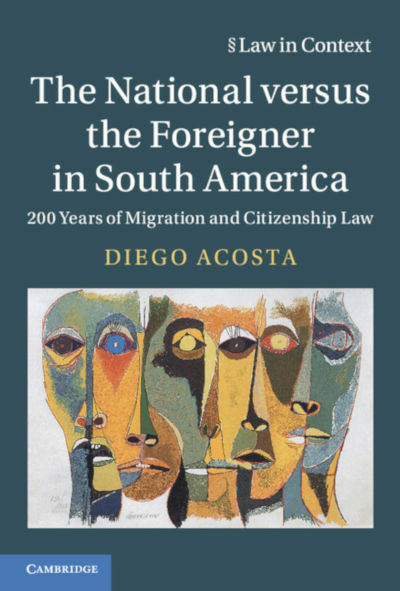 By analysing the legal construction of the national and the foreigner in ten South American countries during the last two centuries, he demonstrates how different citizenship and migration laws have functioned, as well as showing why states have opted for certain regulation choices, and the consequence of these choices for state- and nation-building in the continent. An invaluable insight for anyone interested in global migration and citizenship discussions. 8 Conclusion. Constructing and Deconstructing the Foreigner: An Innovative and Exceptional Approach?